Selling print services to companies today often means setting your paper offerings in a landscape of other, more modern marketing methods. This may beg the question among your clients, however, whether they need the print items at all. If they've bought into the concept of digital marketing being the be-all end-all battlefield for brands today, they could perceive the whole printing industry as unnecessary. It's up to you to pitch them on the continued vitality and viability of paper. Mailings are a major part of your role as a marketing-centric print service provider. If you can create compelling direct mail campaigns for your clients, the relative value of print can increase. This approach creates a direct link between consumers and companies, putting a marketing message right in recipients' mailboxes. Much more permanent (and harder to delete) than an email, a well-crafted piece of direct mail can be a great vehicle for a brand's pitch. The following are a few of the approaches that can elevate this type of campaign to must-have status and cement your print offerings' place in clients' campaigns. There are certain types of messages that make mail-outs particularly effective and compelling. 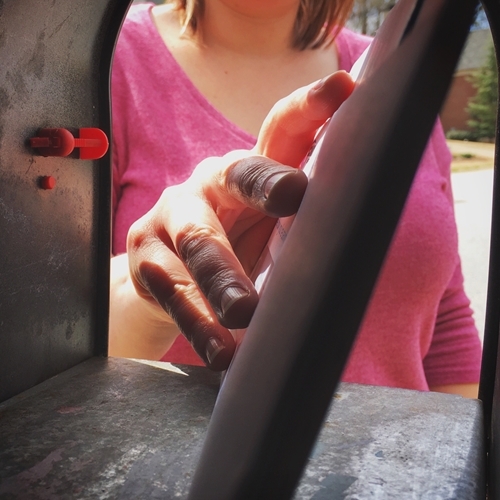 Printing Impressions contributor Summer Gould singled out testimonials, stories and emotional appeals as subjects that work well with direct mail. These are the types of concepts you can pitch to clients who are wondering why they should work with a printing business in the digital era. Testimonials from other users of a product or service are good to highlight in marketing mail-outs because they read as more authentic and credible than direct marketing messages. Gould noted that the curiosity factor also makes these materials useful. A promise to present the opinions of other customers is a compelling invitation for readers to keep paying attention. Storytelling is another winning concept, and one that can tie into the above method. Why not hook readers with a story about a consumer's positive experience instead of simply listing a few bullet points? Gould urged that whatever brands do choose to write about in narrative marketing materials, they should stay on-message. Marketing materials can be one pillar of a developed multi-channel strategy, and you can sell them to potential clients as such. As for emotional content, this is a particularly common practice among non-profit organizations looking for money, as Gould noted. Caring about a particular topic is easier when there is emotional investment on the part of consumers – when they have feelings about a mailing's message, rather than just thoughts. High-quality mailings can deliver these types of appeals directly to consumers, and this is yet another selling point for your print products. Another Printing Impressions columnist, Raul Bobnak, recently pointed out an example of an industry that is employing direct mail products to reach out to its customers. Namely, major national newspapers have taken this approach. There is something poetic about a print-based industry using printed marketing products to defend itself against subscriber number erosion. Bobnak explained that two of the most entrenched and storied names in publishing – The New York Times and The Wall Street Journal – have taken to direct mail to underline the value of their own services. Bobnak critiqued the two designs, noting that the Times' appeal looked good, with a graphics-emblazoned note card inside an invitation envelope. However, its written copy struck him as pompous. Maybe a lack of emotional resonance has hurt the brand's efforts. The author was happier with the Journal mailing, which takes the form of a real letter from the editor in chief of the paper, rather than a subscription voucher. This kind of direct communication may be a good look for brands that want to speak one-on-one with consumers. In any case, the difference between the graphics-based postcard and the letter show the range of approaches print campaigns can take, even within an industry. When consumers look for print marketing today, they are searching for something that gives them an appeal digital media can't bring. It's easier than ever to launch an online ad campaign or send an email newsletter. That means lots of companies will be taking that approach, making it hard to stand out. Stepping back into the world of direct mail can help your clients make themselves seen. You can help with this.